It is really easy to make biodegradable pots for starting off your seeds using the Paper Potter and children will enjoy making them as well. 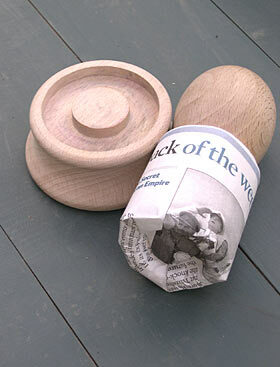 The Potter makes a pot 45mm diameter and 53mm deep. 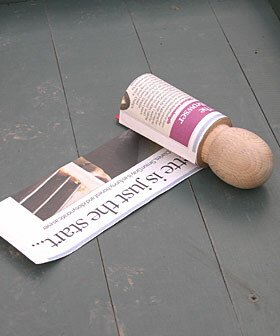 Use any old paper that is a bit flimsy and absorbent, like newsprint, which will soak up water and easily decompose in the ground. Don’t use paper with a coating or glossy finish. The Paper Potter is in 2 pieces, the top, which is the mould, and the base. Cut a strip of paper 57 by 8 cm and roll it loosely around the top mould section. If you wind it too tightly it will be difficult to slide off later. 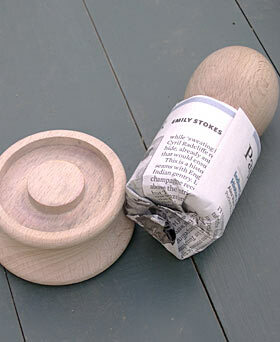 Line the paper up with the top edge of the mould so it overhangs along the bottom edge. Push the overhanging paper over the bottom edge of the mould all the way around. Push the mould onto the potter base and twist it around from side to side a couple of times to make a good indentation on the paper. 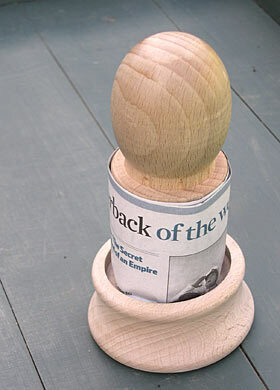 Slide the paper pot off the mould. 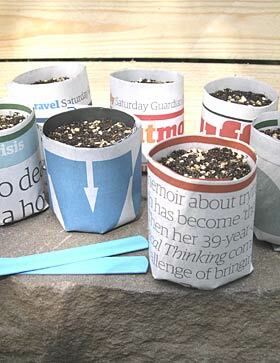 Fill with seed compost and plant some seeds. 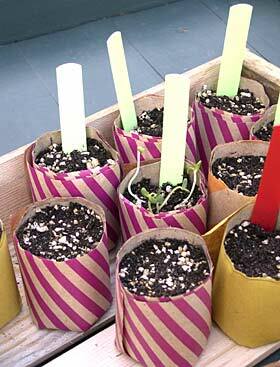 Try making them with paper strips 12 cm by 57 cm for deeper pots suitable for growing leeks and sweet peas in.